If you've read my bio you know my mom passed away before I had children. My first pregnancy was full of jangling nerves, worries and heightened emotions. I needed to talk about it, constantly, and didn't have a mom to listen (as my mom certainly would have). But I needed that and I found it--by joining an online "expecting club". We supported each other during pregnancy, answered questions, commiserated, and cheered the births of all our babies. And now, here we are, still connected five years later. In that time we've lost one of our babes to cancer and supported several others through various challenges. And now we have another wee one who needs that support. Three-month-old Liam has a blood clot in his aorta that is growing. His mama has to inject him twice a day with a drug that costs $1248.60 per month after insurance. Her older son, Brody, has Vacterl Association, a condition that has led to countless surgeries, also only partly covered by insurance, so, needless to say, she and her husband are struggling to pay for this new way to torture (at least, I'm sure it must feel that way) and save, their baby. So, the marvelous members of our group have started an Etsy shop with gorgeous, handmade items to sell and 100% of the proceeds will go toward buying Liam's meds. (I tell you, these women are amazing!) I'm not classically crafty, so I can't donate anything to the shop, but I came up with another way to (hopefully) help. I will hold a random drawing for a signed, hardcover copy of "Martimus at Midnight" plus a $5 Starbucks gift card, for anyone who buys something from the Etsy shop or donates any amount towards Liam's meds (via Paypal, to this address: littleliamlove@gmail.com). Simply comment to this post telling me you've done so and you will be entered. Three people will win the prize combo, and the drawing will be in one week: Monday, April 4th at 9 p.m. EST. I ordered! What I really wanted was the grey earflap hat for myself...but I found some other things. My heart goes out to the brave family, and I'm so glad they have creative friends like you! I ordered! You're wonderful for doing this! I posted on Facebook and hope at least one person on my friends list goes and buys something. Jamie--*you* are awesome! Thanks for posting to Facebook! :D *mwa*! Alina, I posted on my facebook page (until payday when I can shop too!) 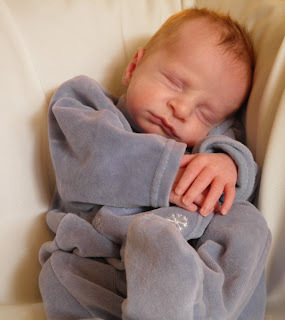 - I wish ya'll great success in raising funds for little Liam. I'll buy something when I get a chance over the next few days, and post to my facebook page tomorrow! Best wishes to Liam and his family!! Deb, you're a fabulous gal. :D Thanks! I ordered donated, sold and recieved some things! Thanks Alina for doing this! I do not have a "signed" copy..hiny hint..:) We have such talented ladies around here! I ordered! I plan to order more when more product is available. I have one of the knit dragonflies and its somehow even more adorable in person <3 Thank you!!! Hooray for all of you LOVELY, WONDERFUL, AMAZING PEOPLE! I am just about to enter all of you into a random drawing and will post the winners soon!